BUT then I watched the young employee with this woman. I watched him help her count her change, ever so tenderly taking it from her shaking hands. I listened to him repeatedly saying “yes, mam” to her. When she asked if she had enough to buy a reusable bag, he told her she did and went two lines over to get one for her and then repackaged her items. Never once did this employee huff, gruff or roll his eyes. He was nothing but patient and kind. As I was watching him, I saw that Eloise was too. She was standing next to the woman, watching the employee count the change. I realized I hadn’t been inconvenienced at all. That my daughter was instead witnessing kindness and patience and being taught this valuable lesson by a complete stranger; furthermore, I realized that I too needed a refresher on this lesson. When the woman was finished, the employee began ringing up my items and thanked me for my patience. I then thanked him for teaching us patience and kindness by his treatment of that elderly woman. And although my timeline for target was askew, when he was finished I pushed my cart through the store trying to find the manager. I wanted her to know of the employee’s, kindness and patience, and how much it meant to me. 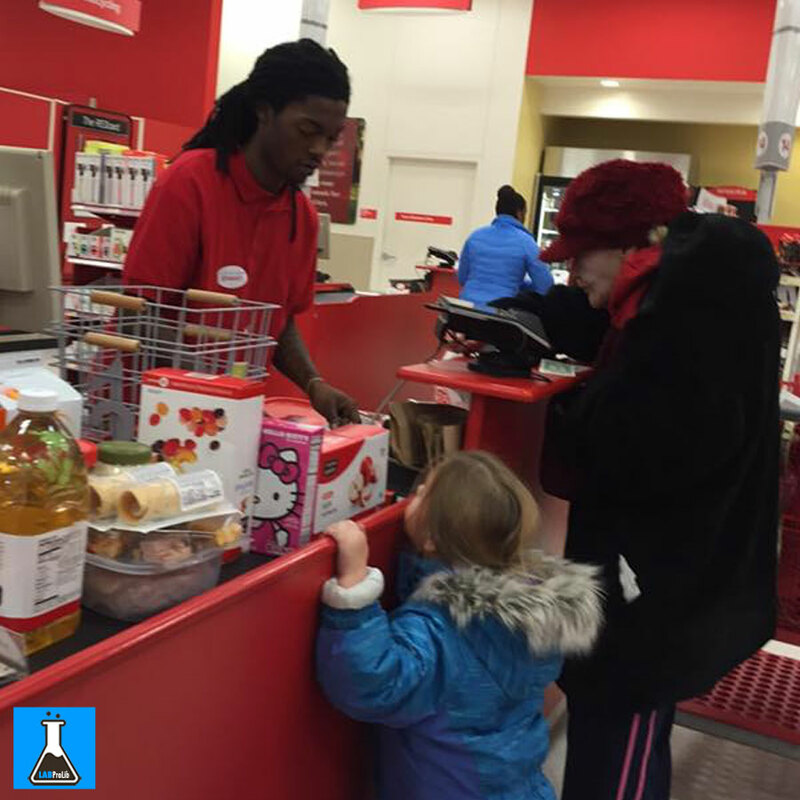 After tracking her down and sharing the story with her, we left Target with a cart full of consumable items, but what is more a heart full of gratitude for such an invaluable lesson.